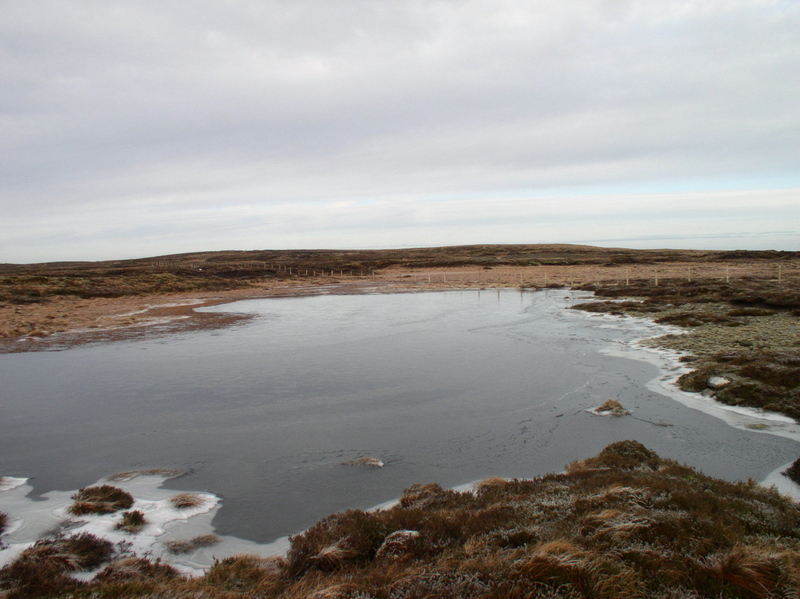 Middle Tongue Tarn is an increasingly small and peaty tarn situated a quarter of a mile north of the summit of Yockenthwaite Moor. On my first visit in 2005 Middle Tongue Tarn was about half the size shown on the map, on my second visit in 2015 both Middle Tongue Tarn and the unnamed tarn further to the north were both empty of water. 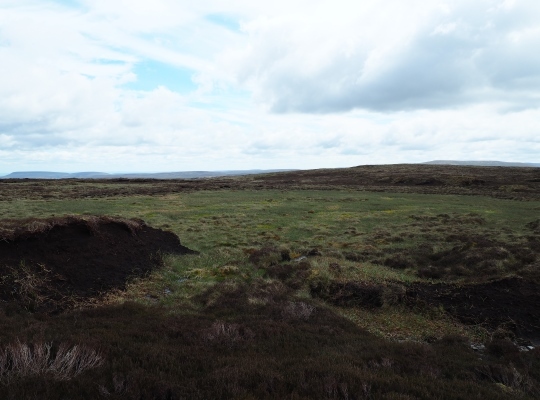 As we’d deliberately chosen a dry spell, for what was an extended traverse of a very boggy moorland, this should perhaps not have been too much of a surprise. It would be interesting, after all the rain we’ve had over the winter of 2016, to go back and see if the tarn has filled up again. 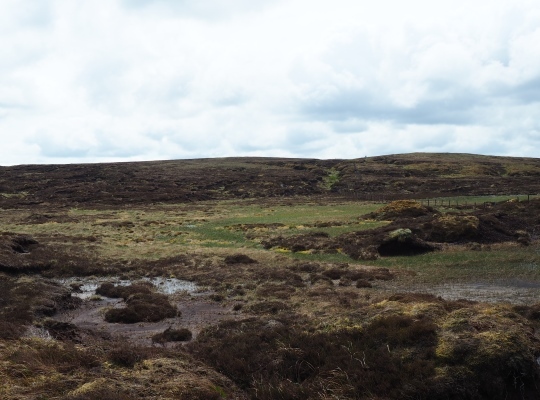 On the other hand the I really wouldn’t fancy tackling Yockenthwaite Moor, notoriosuly boggy at the best of times, in such soggy conditions.